Steve House slide show and book signing. I read this book over the weekend and it was a great, engaging read about one of the stories behind the skiing movie Steep. I can’t wait for the film. 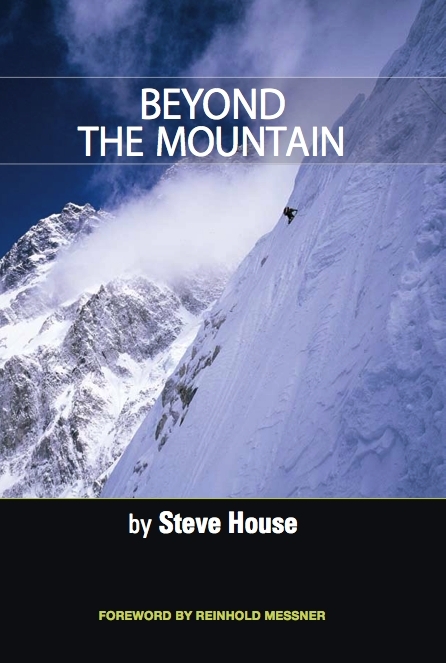 Please join Steve House for a free one-hour slide presentation through his new book, Beyond the Mountain on Wednesday, September 2, at the Black Diamond Store. Admission is free. Steve will share stories from landmark climbs such as Slovak Direct and the Central Pillar of the Rupal Face as well as dish on several of his less-glamorous attempts at climbing, and living as a climber, over the past twenty years. Books will be available for purchase (cash or check only) from the author. The 8th Annual HERA Women’s Cancer Foundation Climb4Life hosted by Utah-based Black Diamond will be held September 17-20 in Salt Lake City. The event, part of a national series that raises money for ovarian cancer research and awareness initiatives, roped in more than $100,000 last year! Join HERA as we bring together men, women and teens to climb for a cure, whether you are a newcomer or old pro. You, the participants, are really the heart of the event. We need your strength to help fight ovarian cancer and save the lives of women and girls! The unofficial precursor to ski season along the Wasatch and the biggest fundraising event of the year for the Avalanche Center! Join us for an evening of Mexican food, drinks, music and a silent auction to support the UAC. Event is outdoors, and will be held rain, snow or shine! You must be 21 to attend, or accompanied by an adult. We will have the recycled cotton UAC logo T shirts for sale – bring some extra cash or a check. Please no dogs this year. For more information call 801-365-5522. Please see the previous SLCA post about two other dates, the SLCA Adopt-A-Crag on September 26 – rain or shine, and the AAC Craggin’ Classic October 9-11. We hope everyone is having a great summer and is getting after it! Here’s an update regarding important SLCA news and upcoming events. Read more…..
You are currently browsing the Utahclimbers.com blog archives for August, 2009.